Whether Francis Crook Ebsworth was truly an ancestor, I’ll never know. But he died fighting for Spanish liberalism, not in the more famous civil war, which took place a century later, but in the carnage of Spain’s First Carlist War, just 180 years ago this month, in 1837. I’d already adopted Ebsworth as my pen name since it originally belonged to distant relatives and one of my cousins was researching that particular branch of the family tree. She sent me regular updates and then, while I was writing my first novel, The Jacobites’ Apprentice, I received a short note to let me know that she’d hit something of a brick wall – a man called Francis Ebsworth who had apparently gone off to Spain in the 1830s and, seemingly, never returned. 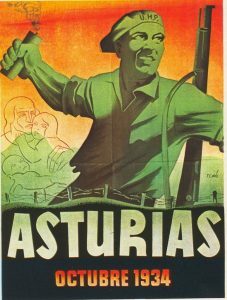 To be honest, I thought no more about it, even when I was writing my second novel, set during the Spanish Civil War itself. But then, with the first draft of The Assassin’s Mark completed, we set off – as we always do – to check out the actual locations, this time along Spain’s north coast. 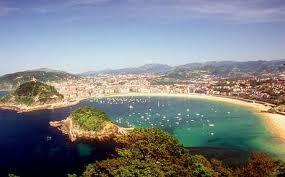 First stop, beautiful San Sebastián. 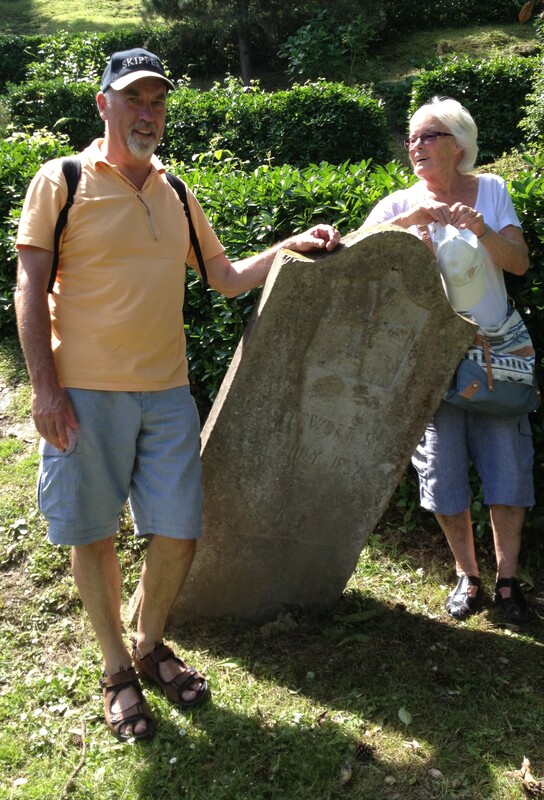 And, while we were there, somebody mentioned that, really, we should make a trip to the town’s English Cemetery, which sits below the La Mota castle, on the seaward side of Mount Urgull. I expected to find the remains of English soldiers who’d died in the area during the Peninsular War, though our British part in San Sebastián was hardly creditable – we caused a firestorm that devoured the entire city, and our soldiers then raped and pillaged their way into infamy, immortalised in the Thomas Hardy poem, San Sebastian. In a stranger than fiction moment, however, it happened that the first tombstone we found, leaning at a rakish forty-five degree angle, was engraved with the name of Colonel F.C. Ebsworth. It sits alongside the other memorials commemorating the fact that, when the liberal Isabelino faction of Spain’s royal family was threatened by the far more reactionary Carlist faction, it begged for help from Spain’s European neighbours. Britain responded by allowing its soldiers to volunteer and form a British Auxiliary Legion. 10,000 men volunteered and set off to Spain to confront the Carlists. A quarter of them died there, including Colonel Francis Crook Ebsworth, killed during the late summer of 1837. Ironically, he was shot by one of his own allies, by a Spanish soldier taking part in a mutiny over non-payment of wages. I’m still not sure whether this possibly personal link to Spain’s history helped to feed my passion for the Spanish Civil War that, from 1936 onwards, also saw Britons – 2,500 of them – volunteer to fight against Franco’s fascist rebels and on behalf of the Republican Government, but it certainly caused me to substantially re-write the first draft of The Assassin’s Mark and, among many other things, to include the ghostly figure of protagonist Jack Telford’s own ancestor from that First Carlist War. And the spectre’s image continues to haunt Jack throughout the sequel, Until the Curtain Falls, published earlier this year, and following Telford’s adventures to the Spanish Civil War’s tragic conclusion. 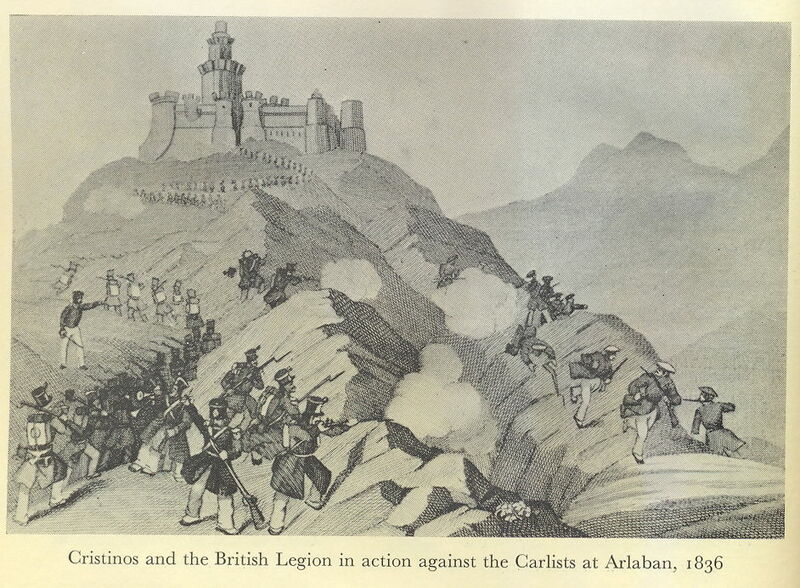 In addition, it reminded me that there is a long thread of British involvement in Spain’s historic fight for liberalism and democracy – all the way from Wellington’s involvement in the Spanish War of Independence from the French (1808-14); to the First Carlist War (1833-39); to support for the Asturian miners (1934); to the role of the British Battalion as part of the XV International Brigade (1936-39). This year, on the 180th anniversary of Francis Ebsworth’s death, I remember them all! Hy David, you have joined up some dots for me. I do what you have done with Spain for my personal family, friends and community interests in the United Kingdom. I am not surprised how your research links up the events right up to the Second World War beginning with Anschluss after 1936. I attended the 80th Memorial of the Spanish Civil War, which began in Bencassim and moved north to other places in October 2016. Typically not many events are spontaneous and don’t just happen, they are part of a process, the material conditions and happen over time. The event in Benicassim was a great occasion, we just happen to live there over winter months. Many attended from all of the countries involved in the conflict, at least 12 languages. Pleas reply if you think there is merit in doing so. I have some family tree information on the Ebsworth’s and Francis (Frank) Crook Ebsworth. We had very little information other than a snuff box that had a plaque attached to it in memory of his passing. Your article adds so much to our knowledge of Frank. No one (current generations) even knew where he was buried. If you need more information to see if you are related, please feel free to contact me. I’ve traced our tree from around 1600 and worked forwards. Too many holes to fill in if working backwards – too many dead-ends or lack of recorded family history. Also, doing all this with a PC over the internet, impossible to do 30 years ago.